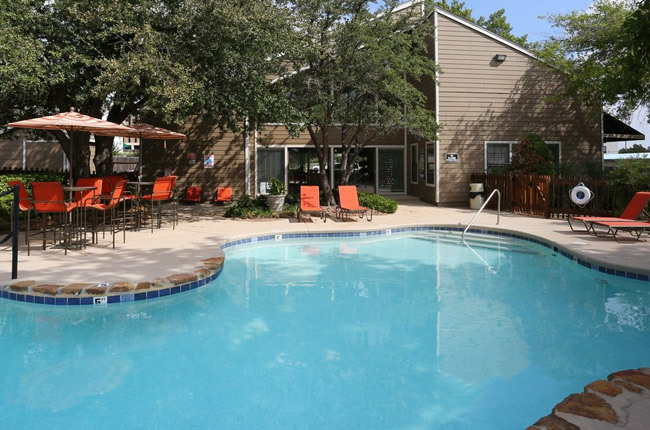 Discover peaceful apartment living at Brittany Square Apartments in Tulsa, Oklahoma. Our spacious one and two bedroom apartment homes boast a variety of well-appointed amenities such as stylish accent walls in our living and dining rooms, a gourmet kitchen featuring an all-electric appliance package and entertainment bar, oversized closets with shelving, and a private patio or balcony. Set on beautifully manicured grounds, our pet-friendly community offers a 24-hour fitness center, a sophisticated resident clubhouse, and a soothing outdoor swimming pool. Our impeccable services include a professional maintenance staff, a caring management team, valet trash pickup, and yoga classes for residents. Experience a maintenance-free lifestyle at Brittany Square Apartments. Call and schedule your personalized tour with our welcoming leasing agents today! Minutes from Interstate 44 and the Arkansas River, Brittany Square Apartments is located in the highly-desired Lewis Crest neighborhood of Tulsa, Oklahoma. Brittany Square Apartments is within close proximity to the best dining, shopping, and entertainment venues in the city. Outdoor enthusiasts will adore nearby Lafortune Park and Manion Park where they can partake in an active outdoor lifestyle. After a relaxing walk or jog in the park, you can grab a bite to eat at Mario’s NY Style Pizzeria, Bodean Seafood Restaurant, or El Tequila. Shopping has never been easier with Reasor’s Foods, Sprouts Farmers Market, Trader Joe’s, and Whole Food Market in the immediate area. Endless convenience is at your fingertips at Brittany Square Apartments.